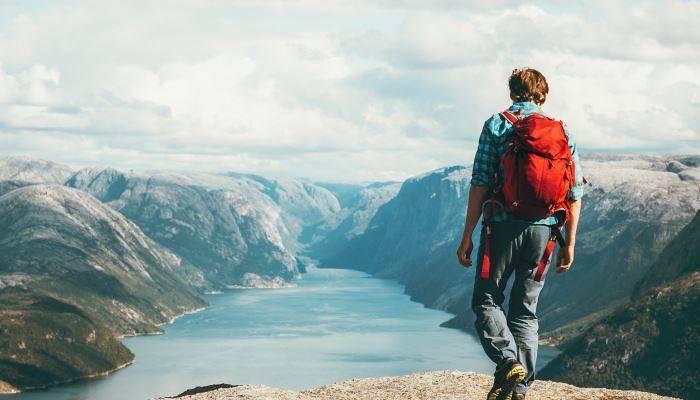 Blessed with magnificent landscapes, spectacular fjords and mesmerising natural phenomena, Scandinavia is a region of the world that is becoming more and more desirable to visit. Unfortunately, due to the area’s increasing popularity, it is becoming renowned for being an expensive destination to travel in. However, it doesn’t have to be this way. By avoiding unnecessarily expensive hotels and pricey restaurants, you can relish in the natural beauty of these stunning Scandi countries, all without the hefty price tag. It is a common misconception that flights to Scandinavia are expensive. Within package deals, flights can massively bump up the price of a trip, but when booked separately, flights from London airports can cost as little as £8 each way. The key is flexibility. If you can be open minded with flight times and dates, then you’ll be jetting off to the likes of Oslo, Copenhagen, and even Reykjavik, for some right bargain prices. While Scandi style is now one of the most popular interior design trends, the inspiration behind its simplicity comes from the natural landscapes of Scandinavia. The crisp white walls and linens mimic the cool glaciers, the frequent inclusion of natural materials, such as wood and leather, reference the vast natural landscapes, while incorporation of plants brings the outside in. But why spend extortionate prices for a bedroom inspired by nature, when you can have the real thing? Freedom to roam is a principle, protected by law in many of the Scandi countries. Essentially, this means that you can pitch a tent wherever you wish, providing it is not in somebody else’s garden, and spend the night there. 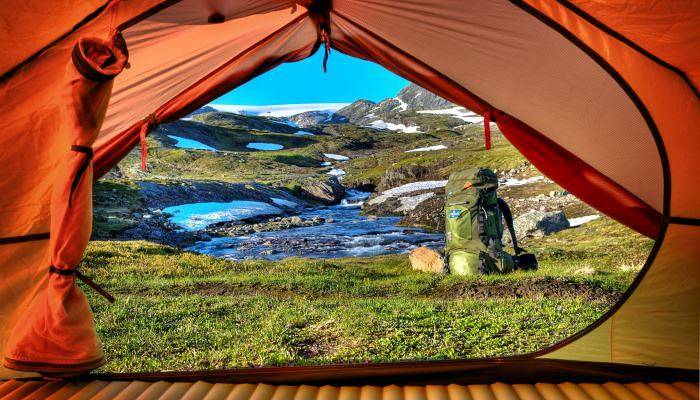 So, if you want to wake up to beautiful views of a serene lake, the morning chorus of the Scandinavian forests, or the lush dewy grass of the mountain’s meadows, you can! And best of all – it’s completely free. 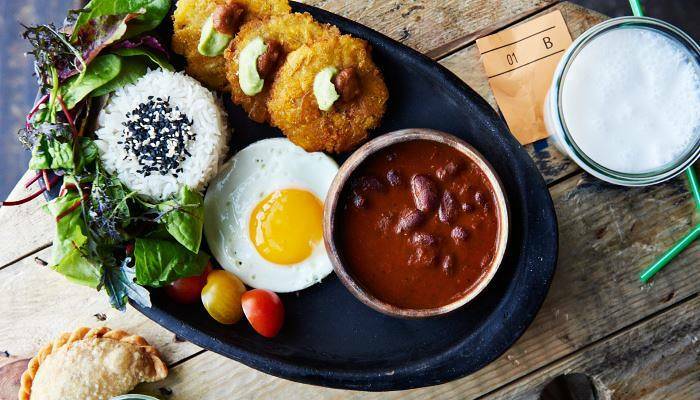 One of the most important parts of any holiday is the food, but it can eat up the budget of even the most money-savvy traveller. Scandinavia is renowned for being expensive when it comes to finding a bite to eat, but delicious cheap treats can be found if you know where to look. Why not grab some fresh and seasonal produce and cook up a treat for yourself on that camping trip mentioned above? Or, if you don’t fancy cooking on your holiday then go check out some food markets instead, which are quite often filled to the brim with cheap but tasty local delicacies for you to try. 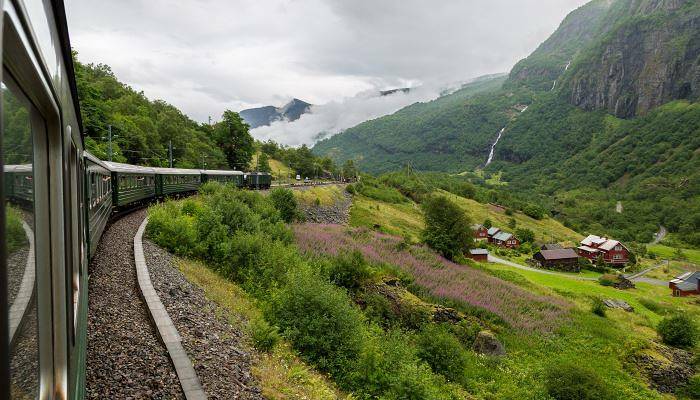 If you’re in Scandinavia for a while then grab yourself an Interrail pass for more flexibility and freedom, rather than flying between countries. Global passes, which are needed to travel between Scandinavian countries, allow you to travel to any destination on five different days within a 15-day period and start at £190. Interrail quite often run discounts and offers on their passes though, so keep an eye out for some money off! Thankfully the draw of Scandinavia lies in its natural beauty. People visit from around the world to paddle the waters of the ancient fjords, climb the snow-covered mountains, and marvel at the wonder of the northern lights. Kayak rentals are dotted around the fjords, and there are also a number of tours available. Sadly, these can work out quite pricey. Luckily for you though, hikes around the stunning lakes and mountains give kayaking a run for its money and offer equivalent, if not more superior, views. 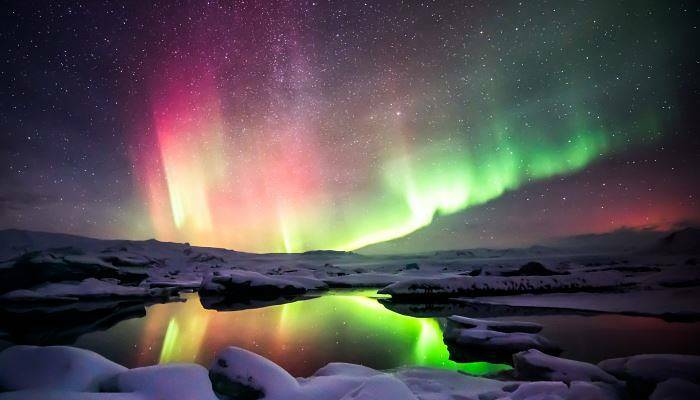 Trips to watch the phenomenon of the Aurora Borealis can also increase the spend on your Scandinavian adventure. So instead of booking on to a tour, why not try and catch those lights yourself? For the best results you will need to head to the northern regions of Norway, Sweden and Finland and move away from the bright lights of the city. They say the best chance of seeing the spectacle is from December through to April on a clear night, with the show sometimes lasting for hours!